Built for performance and show, the HPS Wrinkle Black cold air intake kit for 2000-2005 Volkswagen J.. 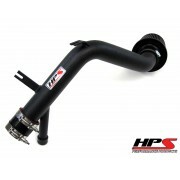 Built for performance and show, the HPS Wrinkle Black cold air intake kit for 2000-2006 Volkswagen G.. Built for performance and show, the HPS Wrinkle Black cold air intake kit for 2004-2007 Ford Focus 2.. Built for performance and show, the HPS Wrinkle Black cold air intake kit for 2004-2008 Hyundai Tibu.. Built for performance and show, the HPS Wrinkle Black cold air intake kit for 2006-2009 Pontiac Sols.. 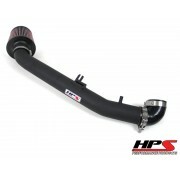 Built for performance and show, the HPS Black cold air intake kit for 2006-2011 Honda Civic Si 2.0L .. Built for performance and show, the HPS Wrinkle Black cold air intake kit for 2006-2011 Toyota Yaris.. Built for performance and show, the HPS Wrinkle Black cold air intake kit for 2007-2009 Saturn Sky 2.. Built for performance and show, the HPS Wrinkle Black cold air intake kit for 2013-2016 Dodge Dart 1.. Built for performance and show, the HPS Wrinkle Black cold air intake kit for 2013-2016 Dodge Dart 2.. Built for performance and show, the HPS Wrinkle Black cold air intake kit for 2015-2016 Ford Mustang.. Built for performance and show, the HPS Black cold air intake kit for 2015-2016 Subaru Impreza WRX S.. Built for performance and show, the HPS Black cold air intake kit for 2015-2017 Subaru WRX STI 2.5L ..